This image is just part of an ongoing project in Loxahatchee. 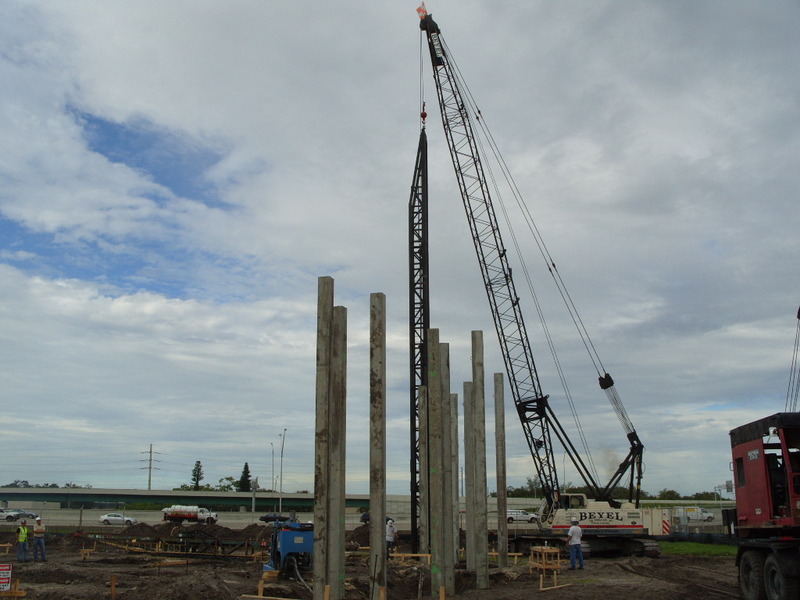 It combines steel sheet piling, prestressed concrete piles and timber piles for several levees in Loxahatchee. UPDATE: Pictured here is some more work at the same site. Recently, we completed a seawall replacement at U-Haul Wilton Manors. 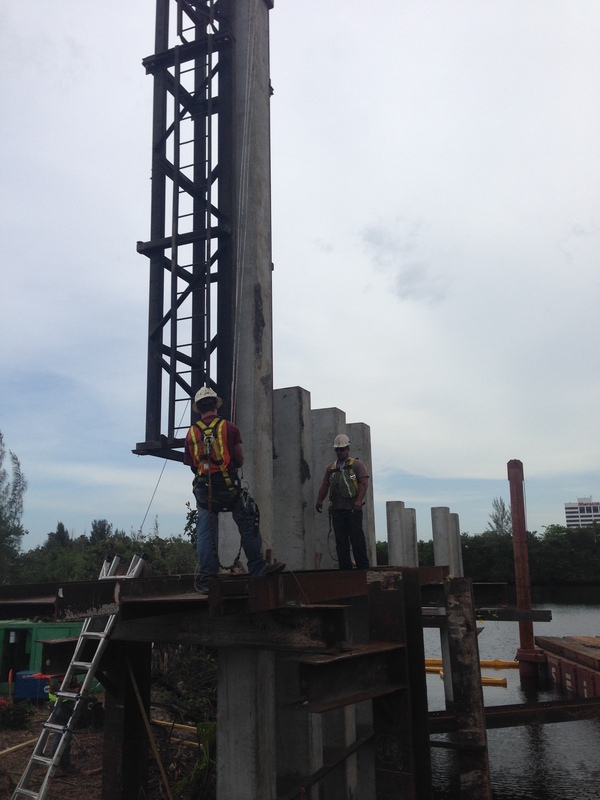 We installed 350 wall feet of sheet piling and prestressed concrete piling. This job was located in Tamarac, in western Broward County. 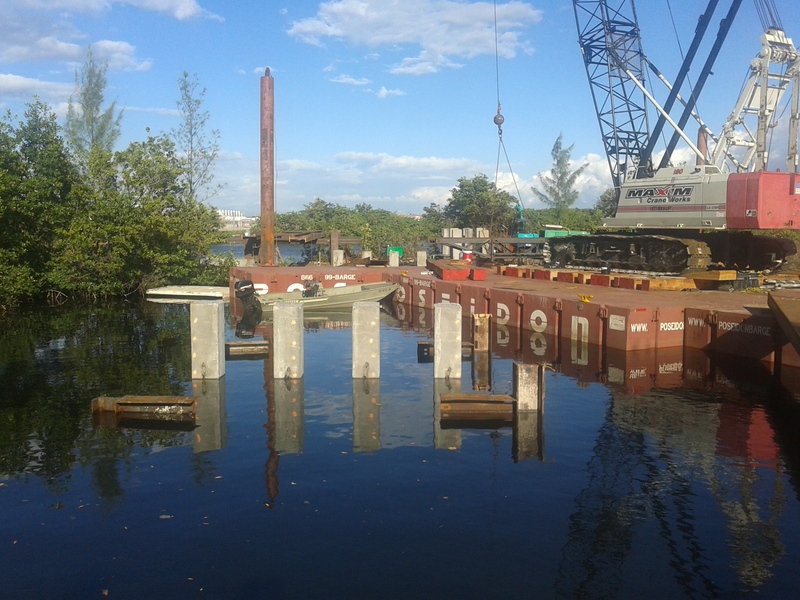 The project included sheet piling installation, prestressed concrete piling and concrete cap for boat ramp renovations. This project was to install driven concrete pilings to support the new Doppler Radar tower at Fort Lauderdale International Airport. Photos are courtesy of Jones-Morgan. This was a driven concrete job we did for the Fort Lauderdale International Airport. The project included driven concrete pilings to support a bridge and platform for runway lights.